The city of Jakarta has 10 million people and over 9 million registered motorcycles. The entire United States has 310 million people and over 7 million registered motorcycles. 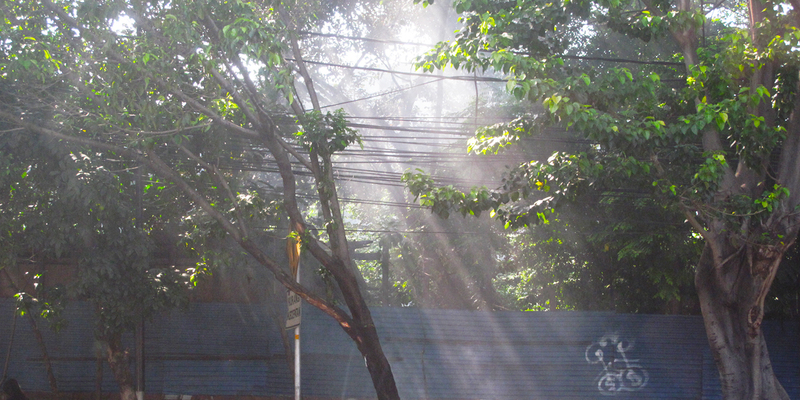 Pollution is a problem in Jakarta. 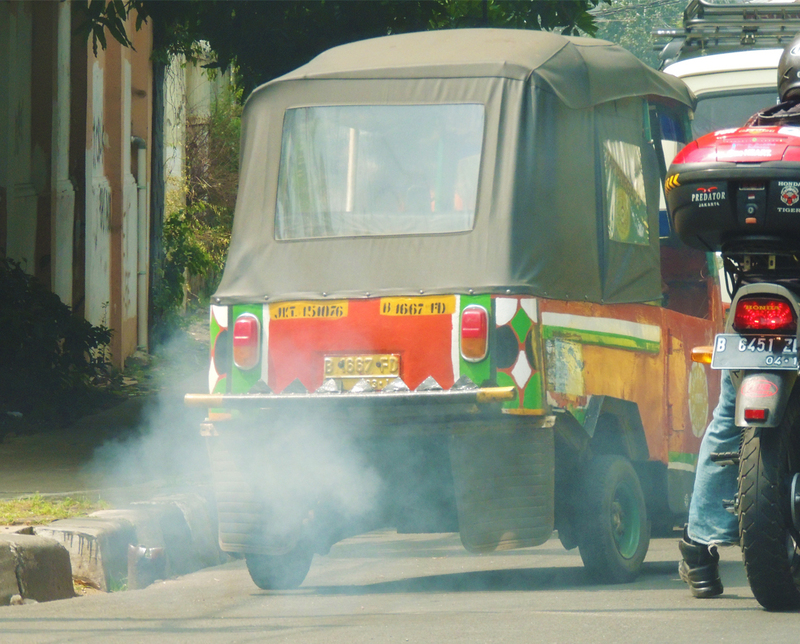 It is no surprise that 70% of air pollution is caused by motor vehicles, with that number only expected to grow in the coming years. 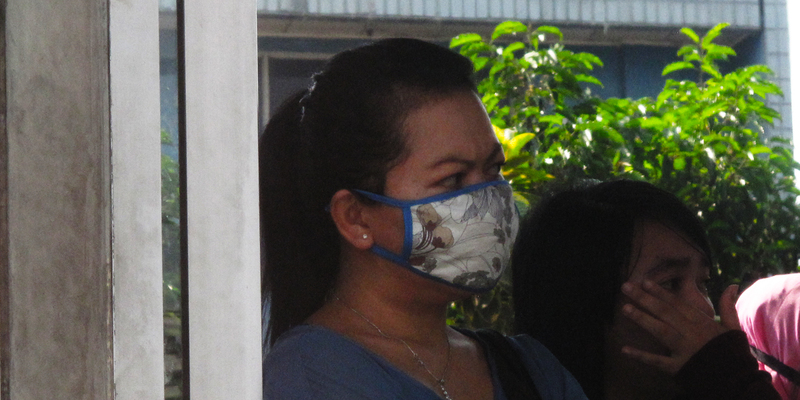 To combat this, residents can often be seen wearing face masks to prevent the inhalation of exhaust smoke and other debris, especially while traveling in or near the heavy traffic of the main roads. The AIG was surprised to see the mask itself has become more than a utilitarian piece of disposable equipment sold in bulk at pharmacies. It has taken on a role of fashion accessory: often color coordinated with outfits or adorned with a favorite pattern or cartoon character. The fashionable variety is often reusable, made with more durable textiles, with users often having an assortment at home to choose from. This ain’t your momma’s pollution mask. This entry was posted in People, Transport, Travel.